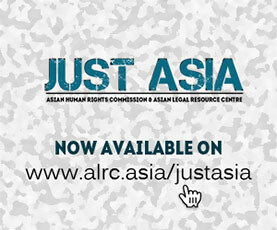 The Asian Human Rights Commission (AHRC) has received information regarding the lukewarm attitude of the high court of Balochistan that ignored the petition on the abduction of a 75 year-old farmer by persons from the Frontier Corps (FC). The abducted person was an old political worker who left politics in 1975 but, being an old man, people from the neighbourhood use to come to his place in the evening. The FC is afraid of any kind of gathering where people chat on different issues and it is acting like the Gestapo in the province. As is usual, the courts are afraid of going into detail in cases involving the FC because of their insecurity. The family members of the abducted person are afraid that he would be held in a FC torture cell and would be extrajudicially killed. Mr. Mohammad Bakhsh Baloch, son of the late Kahuda Gangozar, a 75-year-old farmer, resident of Kallag Sami, Tehsil Turbat, district Kech, Balochistan province, was travelling on June 20 with about a dozen other local persons on a transport vehicle coming from Turbat and going back to his home town in Kallag Sami (35 km east of Turbat). At 3:25 in the afternoon, the vehicle was stopped by personnel of the Frontier Corps (FC) at the FC check-post of Jusak, 4 km north of Turbat town. On approaching the vehicle, the FC personnel in uniform asked the passengers which one of them was Munshi Mohammad Bakhsh. He replied that he was the person they were asking for. He was then asked to follow them and was pushed into their armored vehicle. The passenger vehicle was stopped for an hour at the check-post and at 4:25 pm was allowed to proceed on its journey. Soon after leaving the FC check-post, some passengers from the vehicle had called the family members of Mr. Bakhsh Baloch informing them about his abduction by the FC paramilitary forces. His son, Mr. Gangozar Baloch, who is the administrator at the University of Balochistan’s Turbat Campus, rushed to the local Police Station and filed a First Information Report (FIR) of the abduction. Since then Bakhsh Baloch’s whereabouts remain unknown. The family members of the victims are worried about the safety and security of Mr. Bakhsh Baloch and they apprehend that like other missing persons the victim would be tortured in custody by the military men and would be extrajudicially killed. It is a very much established fact that the FC are running more than a dozen illegal detention centers where abducted persons are tortured and killed to eliminate the evidence of disappearances. 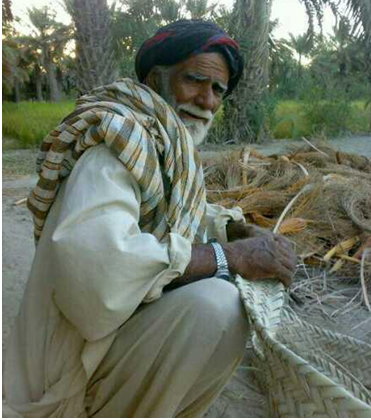 Mr. Bakhsh Baloch has no political involvement of any kind because of his old age and the isolated life that he lives. He was a member of the defunct Awami National Party which was banned in 1975 by the then prime minister, Zulfiqar Ali Bhutto, who was hanged by the military government of General Zia Ulhaq. He has disassociated himself from the politics since 1975, and while he has been a well-wisher of the Baloch nationalist politics he has played no active role except for casting his vote during elections whenever held. Being an old man the people from the neighbourhood come to his place and discuss many things including the politics which is a custom of Balochistan. The FC has terrorized the population to the point that they cannot even gather in the evening to chat freely. The family members have also made written appeals to the Balochistan High Court and the Supreme Court of Pakistan on June 21 asking their help in the recovery of the aged man and for his production before a court of law. The High Court of Balochistan held the first hearing of the case on June 26 calling the FC personnel on duty at that check-post to appear in person but the officials deputed refused to appear before the High Court, the highest court of the province. The FC has submitted a one page written statement saying that the person is not in their custody. The court was satisfied with the reply and took no action for the recovery of Mr. Bakhsh Baloch. In effect the court has turned a blind eye to the very real danger of torture and possible death that the victim now faces. Recently the Balochistan Government’s Home Secretary, Mr. Naseemullah Bazai, informed the Supreme Court on June 21, 2012 that 381 persons, kidnapped by security forces and were registered at different police stations as missing persons, have been killed and dumped whose bodies have been found all over the province. Those target killed by different pro-establishment death-squads are not included in this number as they were not registered as enforced missing persons and no FIR was lodged against their abductions. The Balochistan Home Secretary informed the apex court that the policy of kill and dump is arguably getting worse (daily Times editorial, June 22, 2012). Baloch nationalists put the number of kill and dump victims above 500 and the number of missing persons to above 14000. Taking into consideration these facts, we, family members of Mr. Mohammad Bakhsh Baloch, fear for his life. Because of his old age, he will not be able to bear the inhuman physical and mental torture that the Baloch missing persons are constantly being made subject to by the security forces of Pakistan. Therefore, we humbly request you to kindly take this case with immediate urgency and raise a strong voice against the abduction and illegal detention of our elder as well as the cases of thousands of other Baloch individuals. It is well known that the security forces and intelligence agencies are above the law when it comes to Balochistan and don’t feel answerable to any law of the country. The Supreme Court of Pakistan was also not been able to take any action against the FC when all evidences were produced before the court for the involvement of FC in the abduction and disappearances of the Baloch people. Even, the CCTV footages were also presented before the Supreme Court showing that FC personell are abducting missing persons in their vehicles. The FC feels to have the license to kill and dump any Baloch on any minor suspect or on any disinformation. It has currently become a norm in Balochistan that if anybody wants to harm any person, they simply send some anonymous SMS to the FC saying that so and so has links or is a supporter of Baloch guerrillas (popularly known as sarmachar) and pro-independence groups. The enforced disappearances in Balochistan are not being tackled properly by the government and even not by the judiciary, which claims itself as an independent judiciary after its restoration on March 2009. Cases of disappearances are pending before the Supreme Court while several times more Baloch political activists were abducted and many more bullet-riddled bodies of missing persons came on surface during the period when the apex court has been hearing the cases of missing persons. Some Baloch nationalists who were dumped on the road after being kept incommunicado testified before the courts that they were kept in military torture cells in different cities, particularly in Punjab province, but the courts have not tried to ask the military or intelligence officers about their torture. The Supreme Court is much more interested in locating those persons who were involved in Jihad and were militants trained by the intelligence agencies but do not look at the Balochi people, whom against all Institutions of Pakistan seem to have made an unholy alliance. The courts are relying on threatening the intelligence agencies of the military for media consumption and not more than that. During the civilian government of President Asif Ali Zardari a new phenomenon is introduced in the abduction and disappearance that after the abduction the disappeared persons’ bodies are found on the roadsides. It is said that the killing of the persons after their abduction is to destroy the evidence and not to face the courts or media. Please write the letters to the following authorities calling them to arrange the safe recovery of a 75 year old person from the illegal detention of Frontier Corp who is behaving as above the law. Please urge them to prosecute the officials of FC who were deputed at the FC check-post of Jusak, 4 km north of Turbat town for abducting the victim and disappearing him. The AHRC writes a separate letter to the UN Working Group on enforced and Involuntary Disappearances calling for his intervention into this matter. I am writing to voice my deep concern regarding the abduction of a 75-year-old farmer by persons from the Frontier Corp (FC) while he was travelling in a passenger bus on June 20, 2012. His whereabouts remain unknown. I am aware that Mr. Mohammad Bakhsh Baloch is the son of the late Kahuda Gangozar, a 75-year-old farmer, resident of Kallag Sami, Tehsil Turbat, district Kech, Balochistan province, was travelling on June 20 with about a dozen other local persons on a local transport vehicle coming from Turbat and going back to his home town in Kallag Sami (35 km east of Turbat). At 3:25 in the afternoon, the vehicle was stopped by personnel of the Frontier Corps (FC) at the FC check-post of Jusak, 4 km north of Turbat town. On approaching the vehicle, the FC personnel in uniform asked the passengers which one of them was Munshi Mohammad Bakhsh. When he replied that he was the person they were asking for he was then asked to follow them and was pushed into their armored vehicle. I feel that this is a terrible way to treat an elderly person. It was an act of kindness on the part of some other passengers that they called the family members of Mr. Bakhsh Baloch informing them about his abduction by the FC paramilitary forces. His son, Mr. Gangozar Baloch, who is the administrator at the University of Balochistan’s Turbat Campus, rushed to the local Police Station and filed a First Information Report (FIR) of the abduction. Since then Bakhsh Baloch’s whereabouts remain unknown. It is understandable that the family members of the victims are worried about the safety and security of Baloch and they apprehend that like other missing persons the victim would be tortured custody by the military men and would be extrajudicially killed. It is very much established fact that FC are running more than a dozen illegal detention centers where abducted persons are tortured and killed to eliminate the evidence of disappearances. I must emphasise that Mr. Bakhsh Baloch has no political involvement of any kind because of his old age and the isolated life that he lives. He was the member of the defunct Awami National Party which was banned in 1975 by the then prime minister, Zulfiqar Ali Bhutto, who was hanged by the military government of General Zia Ulhaq. He has disassociated himself from the politics since 1975, and while he has been a well-wisher of the Baloch nationalist politics he has played no active role except for casting his vote during elections whenever held. Being an old man the people from neighbourhood come to his place and discuss many things including the politics which is a custom of Balochistan. The FC has terrorized the population to the point that they cannot even gather in the evening to chat freely. The family members have also made written appeals to the Balochistan High Court and the Supreme Court of Pakistan on June 21 asking their help in the recovery of the aged man and for his production before the court of law. The High Court of Balochistan held the first hearing of the case on June 26 calling the FC personnel on duty at the FC check-post of Jusak, 4 km north of Turbat town to appear in person but the officials deputed refused to appear before the high court, the highest court of the province. In a typical display of arrogance the FC submitted a one page written statement saying that the person is not in their custody. The court was satisfied with the reply and took no action for the recovery of the person. In effect the court has turned a blind eye to the very real danger of torture and possible death that the victim now faces. Mr. Bakhsh Baloch's arrest and illegal detention is a violation of the Constitution of Pakistan and a blatant violation of the country's laws. The right to life and liberty enshrined in the Constitution are constantly ignored by the FC and other military and intelligence services and sadly, the courts do not stand up for the rights of the people. I therefore call upon you to ensure that the court is instructed to ensure the safe return of Mr. Bakhsh Baloch from the custody of the FC. The court system must be strengthened to ensure that they have the power and commitment to stand up to the military and intelligence services of the country that arrest, detain and torture people at will. I look forward to your urgent attention in this matter.